OUR BRAND NEW ALL-TERRAIN RUBBER IS PERFECT FOR JUST ABOUT ANY KIND OF RIDING. 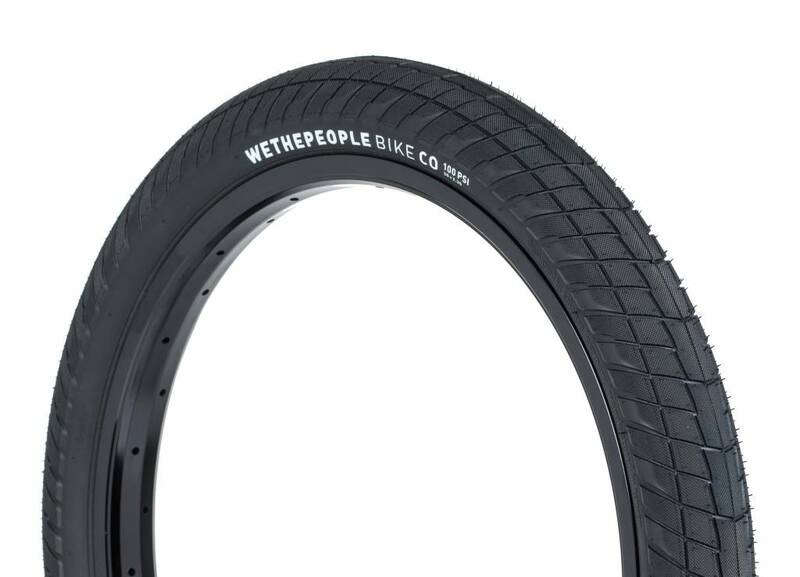 WITH ENOUGH TREAD ON THE SIDE TO HELP YOU "BITE" INTO CONCRETE OR DIRT, AND A SMOOTH CENTER LINE TO KEEP YOU ROLLING FAST OVER JUST ABOUT ANYTHING. AVAILABLE IN 20" AND 22"
COLOURS FOR 20" AND 22"